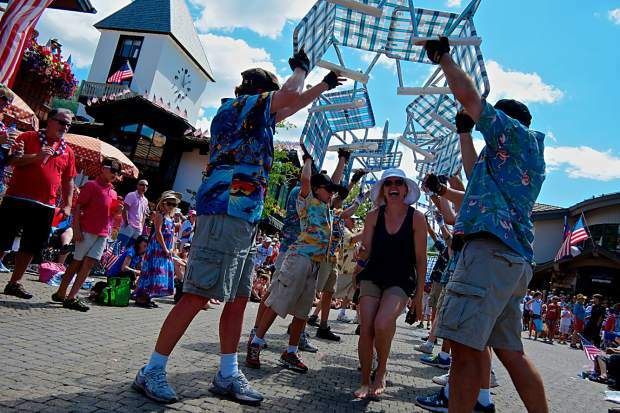 Look out for the Vail Precision Lawn Chair Demonstration Team at the Vail America Days Parade on July 4, closing out the parade as the 59th and final entry. The Vail America Days Parade rolls through the streets of Vail starting at 10 a.m., heading west from Golden Peak on July Fourth. Here’s a look at the order of the floats parading through Vail. 42: S’More Fun in the Great Outdoors!